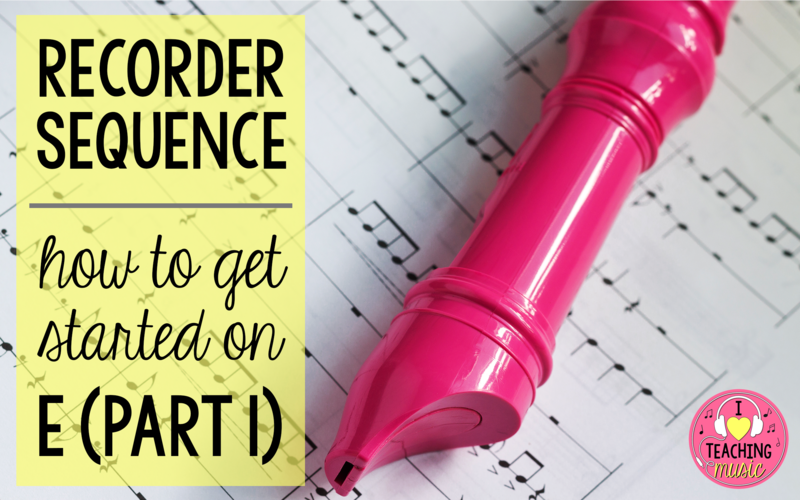 A while back I posted about alternatives to starting your recorder sequence on B-A-G. Several people have asked for more details as to what materials I use to teach my sequence and what my overall sequence looks like. I will try to flesh out my thoughts/process as best I can below. Eventually I will get all my thoughts completely together into something I can list on TPT. In the meantime, feel free to contact me with any questions you have about the info you see listed here. Admittedly, there is not a ton of song material to work with when you start your kids on E. There’s not a ton of quality literature that uses one note, honestly. Sooo… I spend a ton of time on the basics (covering holes completely, soft tone, and introduction to tonguing) before moving on to drilling simple four-beat rhythms. You would think the kids would get bored spending several lessons on what feels like so little content, but they’re just ecstatic to be playing an instrument. If you present the process as something exciting, then your kids will mirror that excitement (meaning, don’t let the boredom of practicing four-beat rhythms ad nauseam show in your demeanor, lol). Once my kiddos are starting to master the basics, I move on to their first (and only) E song – Old John the Rabbit. This lovely folk tune has a great response that can be played on E on the recorder. To beef up the activity, consider adding a simple Orff accompaniment. I like the one over at Beth’s Music Notes. Yay! We get to learn a second note! 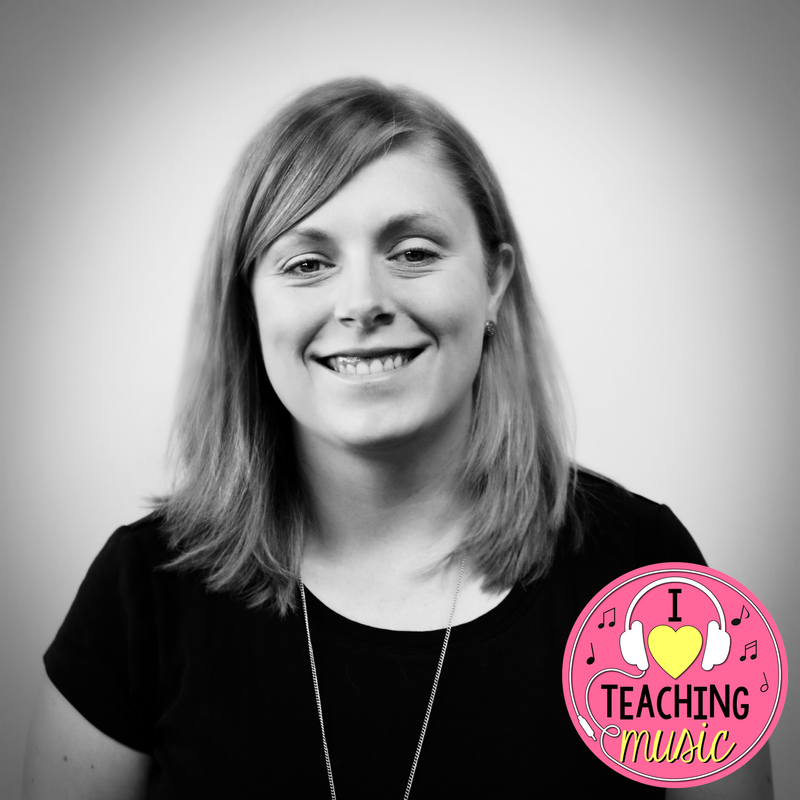 I am a huge advocate of using children’s literature in the music classroom, so I like to introduce my kids to G-E through activities they have done in the past. One of the draws of starting on E and then adding in G is that you can introduce simple so-mi songs/activities. I revisit Don’t Let the Pigeon Stay Up Late/Don’t Let the Pigeon Drive the Bus and/or Possum Come A-Knockin’ and we play the so-mi responses on G-E (these activities are ones I’ve gotten from the fabulous Thom Borden). We then jump into the songs Bee Bee Bumblebee and Star Light, Star Bright – both songs they have done with me in previous grades. Using familiar songs helps them to catch mistakes more easily as they already know what the tune should sound like. Adding in A next allows us to revisit some old so-mi-la songs. My favs are Rain Rain Go Away and Doggie Doggie Where’s Your Bone. These songs are a bit more challenging as the A is played on the second half of the beat (eighth notes split from E to A). You could always start your kids on Acka Backa as the A’s are easier to play in pairs. It’s now at this point that I will take the time to do recorder conferences with my students. I have never felt that the test for belts, stickers, etc. programs have fit with my style of teaching. It can be hard, however, to do individual assessments to figure out student progress when most of your teaching time is spent in a whole-group setting. When we do recorder conferences, the kids choose between the two most recently learned songs, break into small groups, practice, and then play for me in small groups or individually. I listen while everyone else is practicing so it cuts down on the individual nerves. Since the kids aren’t playing for any sort of advancement, it also cuts down on the number of times they insist they want to start over so they can play it perfectly. 😉 I usually have a good idea of who can play at this point, but it’s still good to see who surprises me. Kids who test early get a “mystery song” to work on – basically a song they are less likely to recognize, and need to practice reading the notes on their own. My go-to for E-G-A recorder conferences is Hammer Ring. I have a confession to make – I can’t stand Hot Cross Buns. Just. can’t. stand. it. Sorry! The only song I typically do for G-A-B is Mary Had a Little Lamb. I absolutely love getting to this point in the sequence. Who Has Seen the Wind? is such a beautiful peace for recorder. If we happen to hit E-G-A-B around Halloween, I’ll also throw in Skin and Bones. When I do a recorder conference here, I let my students choose between their G-A-B and E-G-A-B songs. The mystery song for those who test early is Au Clair de la Lune. I’ve only come across a handful of D-E-G songs, so we typically only focus on Frog in the Middle. It’s a nice stepping stone before we get into more complicated tunes that include D.
Making the leap to D-E-G-A-B can be challenging for some of my students. Reading and discerning between five notes on the staff hits some of them hard. Again, I turn to a familiar song so at least they *should be able to tell when they’re not playing it correctly. We spend several lessons on Old MacDonald, learning how to play the piece, but also on writing our own version (Old MacDonald Had a Song). At this point this year, we were right around the holidays when we hit this part of the sequence. So… I had my students work on Jolly Old St. Nicholas. To further push their abilities, I came up with a partner song that they also take time to learn. After a few lessons, the class was able to split in half and play both the original and partner song together. It’s one of the first times my students were successful playing harmony with their recorders. 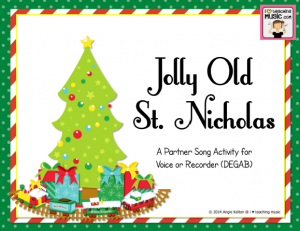 You can find a copy of my Jolly Old St. Nicholas file (with partner song) in my TPT store. Let me count the ways starting on E has revitalized my recorder program. 1. They are playing softer overall. Reminders always needed but it’s soooooo much better. 2. I only have to remind a handful of students to use the correct hands. 3. We can get to a variety of songs more quickly. I use Recorder Karate. The higher belts are easier because they already know E.
4. The lower notes are easier because they already know E.
5. Best of all I’m not bored anymore. It’s made me think of better ways to teach it. It’s genius. I have spread the word like crazy. Thanks so much for the tip!